SPOILER ALERT!!! I am going to give away a good bit of Mad Men in the second half of this post. If you don't watch the show, the first half right below is right for you, but you should stop there and then forward it on to all your friends who do watch the show so they can read my unique observation that no reviews have made. 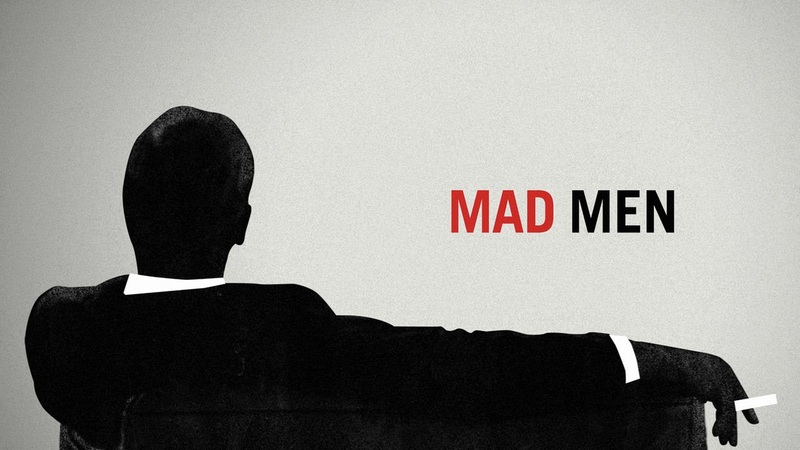 I am going to make a case for why you should watch Mad Men without giving much away. The main character of the show is Don Draper, who is introduced in the first episode as a strong, independent, creative, powerful storyteller who uses all of those skills in the space that he may have best been suited for: advertising. Why? Because advertising boils down to controlling the story of a product to convince you of its value to you. The advertising industry knows with complete confidence that buying that product is only the natural response to believing the narrative surrounding it. Now why would Don Draper be best suited for this? Because that is what he attempts to do over and over and over again with his own life throughout the drama of Mad Men. Don Draper tries to control his story, convincing everyone around him to believe his narrative, not necessarily to buy him, but to find him valuable. And just like with any product being sold, the audience matters, so thus the story changes. Such is the case with Don, and such is the case with all of the characters on the show, which is one reason for you to watch. But here's the main reason why you should watch Mad Men: In so many ways we would hate to admit, Don Draper is just like you and me. I'll leave it at that. This past episode, Time and Life, was by-far-the-best of this second half of season 7. There have been some excellent reviews of this show. I've read about half a dozen, but the two I found most insightful can be found here and here. However, and much to my surprise, none of them made this observation: Every one of the partners in this episode has someone significant to turn to except for Don. First, I am saying "partners" here, which means I'm leaving out Peggy, but a case can be made there. But Ted, Joan, Pete, and Roger all have someone to turn to in this time when SC&P is facing its biggest crisis. 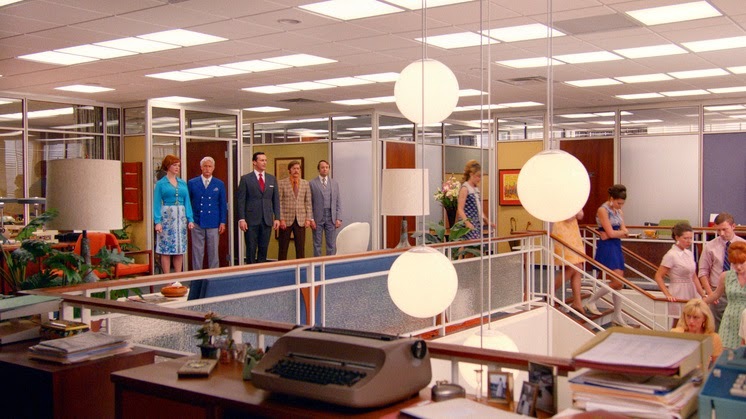 The episode ends with the partners all standing next to each other after the entire office, upon hearing that they're being absorbed by McCann Erickson, wigs out and walks out on them. Not even Don, the master weaver of tales himself (who's already failed once that day), can control the situation and wrangle them in with a whimpering, "It's not the end." Watching them all stand there together, but alone, made me realize that it was still Don standing alone. We've seen that theme in all the episodes prior to this one: Don alone at the restaurant; Don alone in his apartment; Don alone outside his apartment. And now we have the illusion that Don is standing beside his partners. But throughout the episode we all got a glimpse that those partners could depend on someone else outside the office. First, we see Pete reunited with Trudy over the issue of Tammy's admittance to the prestigious Greenwich Country Day School, which plays out a crazy 300 year-old grudge held by the headmaster hailing from the MacDonald corner against poor ole Pete from the Campbell corner. While nothing romantic happened, there was enough defending, flirting, and sparks flying to make everyone watching wonder just what will happen between them. Then, we see Joan on the phone with her new beau, Richard, who's out in Cali getting tanner each episode. She opens up to him and he's immediately empathetic, meeting her emotionally and even physically, booking a red-eye flight to New York. Then there's Ted, who confides in Don after his confession about the Cali mistake, that he's found someone; well, he's rediscovered someone, an old girlfriend from college. He tells Don a bit of background and ends with, "neither one of us could remember why it didn't work out." In other words, "we're perfect for each other." Finally, there's Roger, who finally admits to Don that he's been hooking up with Marie Calvet, Don's ex-mother-in-law. But in this episode it shows that Roger and Marie have moved beyond that to something deeper as Roger has to leave the office to go see her. And all we have left is Don. Don, who, at the beginning of the episode, received two calls from the mysterious Diana, who left and then took back her messages. Don, who, in the middle of the episode, goes to her old apartment seeking her out, only to find that she's left her furniture to the new tenants and fled the city. Don, who, at the end of the episode, is standing dead center with his partners, but is still completely and utterly alone. We see a man who spent his whole life trying to control his narrative in order to be, or at least feel, valued, lose it all, unraveling bit by bit as each of these last episodes begin and end.